← We’re going to the Decatur Book Festival! In-The-Wild Pics of Our First Book Share Title! 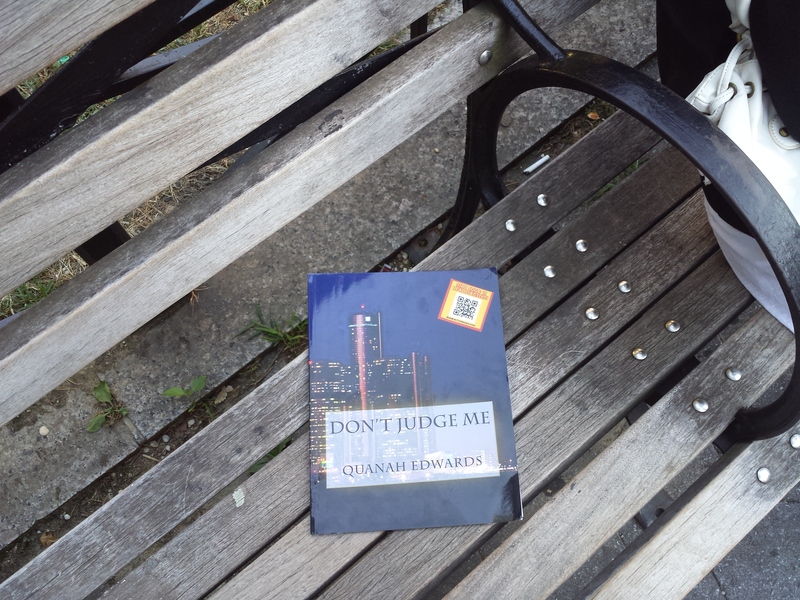 Quanah Edwards’ title Don’t Judge Me was last spotted on a bench in Union Square, very close to the flagship store for Barnes and Noble in Manhattan. Someone! Quick! Pick it up and read it, then pass it on! Posted on September 8, 2013, in Uncategorized and tagged authors, Book Share Project, indie authors, Readioactive Books. Bookmark the permalink. Leave a comment.